The only active heat is provided by the slow combustion fireplace in the eastern living area; wood for fuel comes from the site and a family farm. However Julie says the passive thermal performance of the house means they don’t use the fireplace as much as they expected. 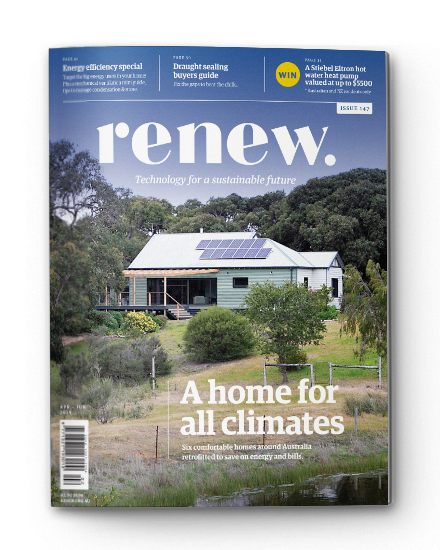 Tucked in a valley surrounded by sand dunes, this modern country house has views across to Albany’s famous wind farm with its 12 turbines that supply 80 per cent of the town’s energy needs. It’s a visual reminder that this is a cool and breezy place, even in the middle of summer. 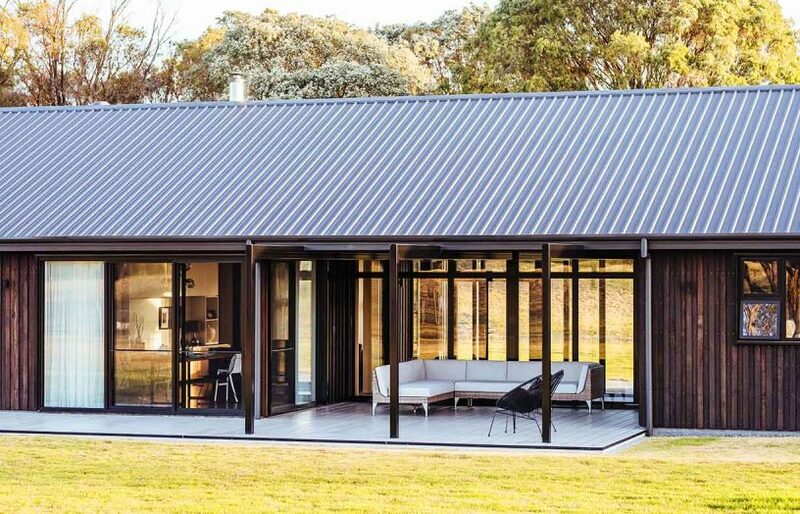 Even though the house is five kilometres from the coast, the family that lives here can hear the waves of the Southern Ocean pounding against the shore when they stand outside or open the windows. But inside, it is quiet and warm, thanks to the Passive House principles that guided architect and owner Julie de Jong in its design. She wanted to mitigate the local conditions and provide a buffer against the southern elements, so the house is arranged on an east-west axis with the living spaces facing north, in two pavilions joined by a glazed walkway. The family moved south from Perth five years ago when Julie was pregnant with their second child. “When we bought this land, it was still a big paddock,” she recalls. At first, they rented an old house in the town centre that was freezing cold in winter, and not much better in summer. Living there helped Julie to work out what they needed, as she began work on the design. Working within the constraints of the environment and the availability of local trades, Julie experimented in ways she hadn’t been able to on clients’ projects. 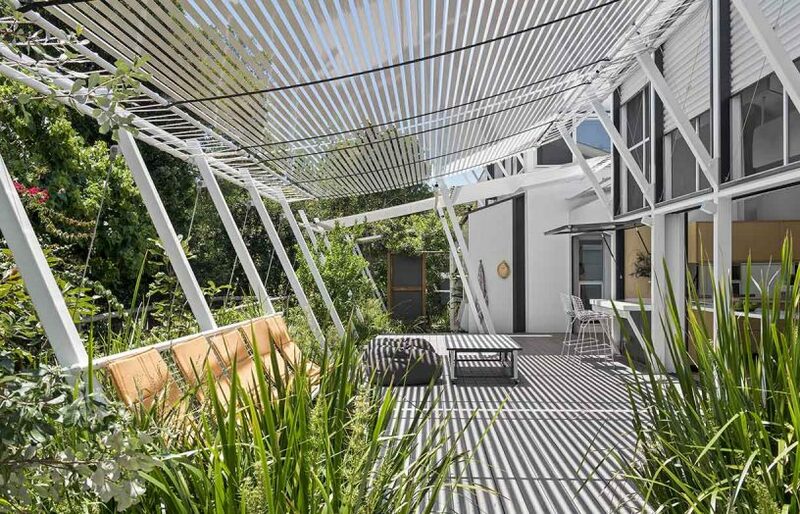 “In Perth, I’d always looked at alternative construction methods but clients wouldn’t go for them,” she says. 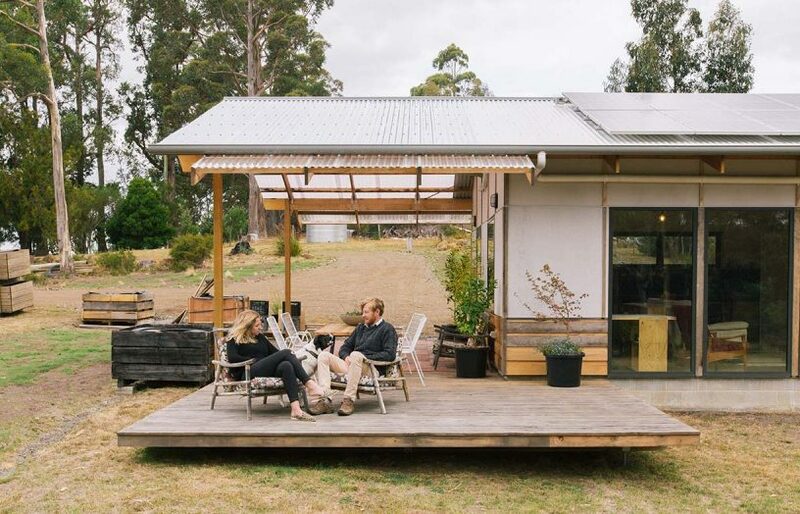 “So I built our house out of SIPs [structural insulated panels] and timber framing, with timber cladding on the outside. 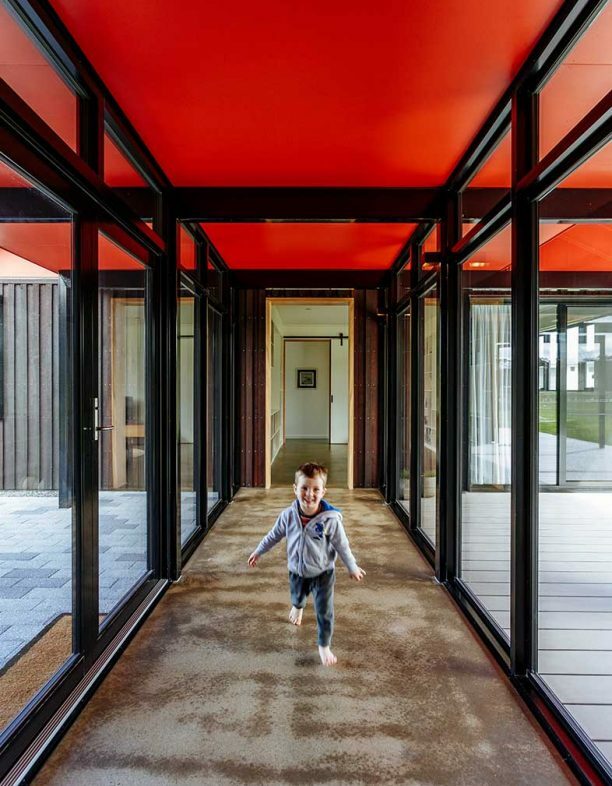 Designed as two pavilions connected by a glazed corridor, Julie’s house provides zoned, flexible living spaces that reduce the need for heating. The walls are constructed from SIPs, designed to standard sizes to minimise waste. “As a child, I lived in the southern forest region and I wanted a timber aesthetic because of the appeal of living with natural materials, and because it suits this climate well if you incorporate high levels of insulation,” she adds. The exterior walls comprise 145mm-thick insulated panels with an R-value of 3.5, a 35 millimetre air gap, and an outer layer of jarrah cladding. “It’s a pretty chunky timber wall,” Julie says. 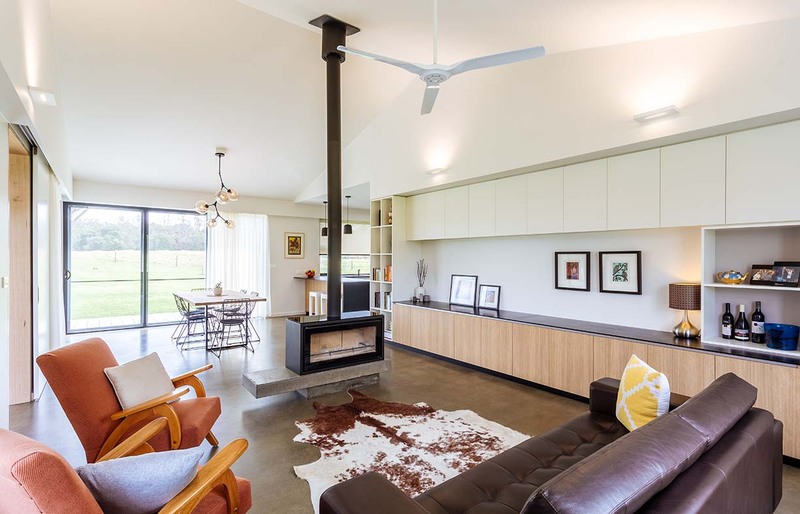 Thermal modelling suggested that indoor temperatures would be sufficient to leave out the planned in-slab heating system, which saved $30,000 and has turned out to be a good decision. “It rarely gets cold and we don’t use the only heater – the log fire in the main living room – as much as we thought we would, because it gets too hot,” Julie says. To distribute that heat throughout the house, Julie installed a heat transfer system after the first winter. 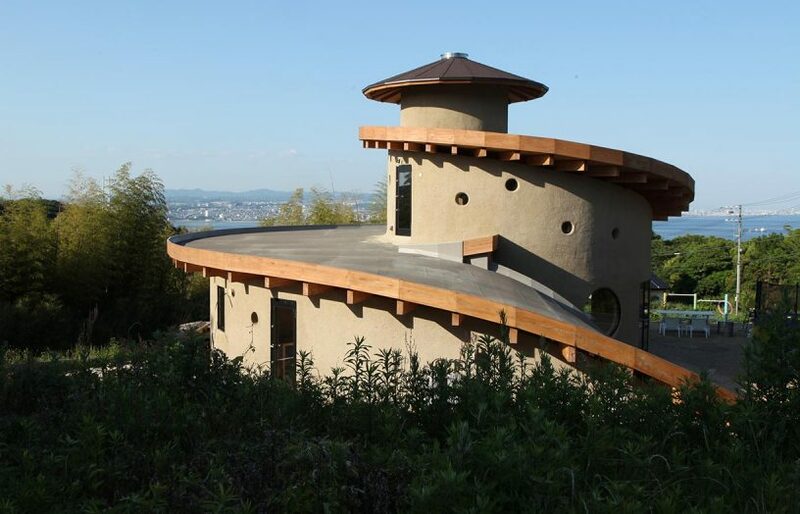 It collects hot air from the raked ceiling in the main living space and pumps it into the living room and children’s playroom in the bedroom wing. Dividing the house into two areas helps to reduce heating costs and provides useful separation when guests visit. 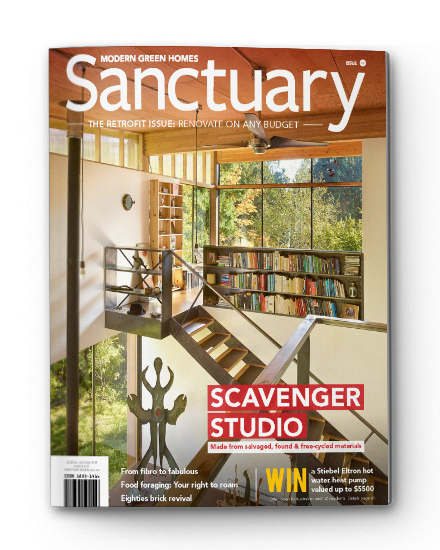 Julie admits there are some downsides of being an architect and designing your own home, including the desire to have the best of everything on a tight budget. She made some big-ticket purchases but justified those because the family intends to live in the house for many years. 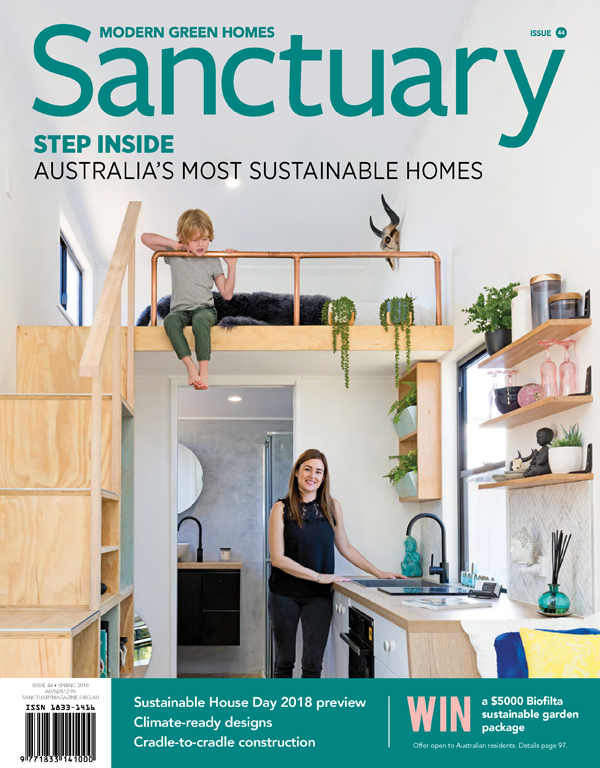 The process of building her own home and bouncing ideas off her husband Lee – who played the role of client – helped Julie to explain all of her choices in layperson’s terms, giving her useful insights for future projects with clients. 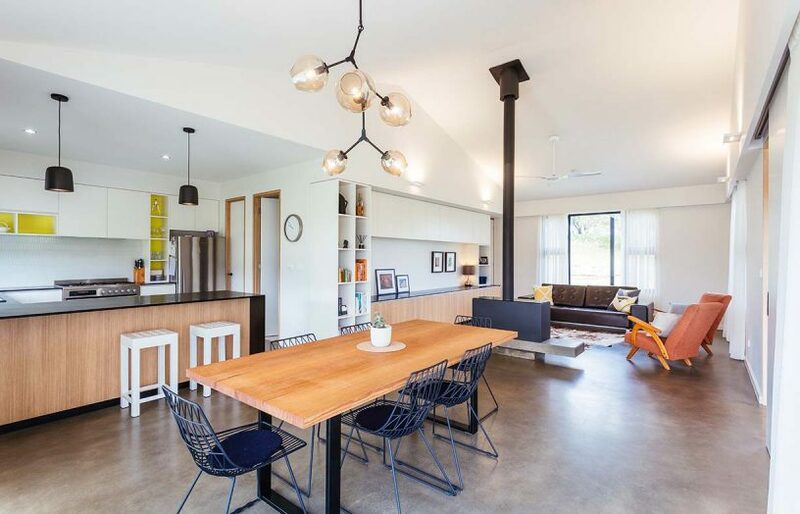 Julie also explained to Lee why she selected Tasmanian oak for the interiors – it was the cheapest plantation timber available – and why it was worthwhile to install under-slab and slab-edge insulation. “In the first year we moved in, it took about 12 months for the temperature of the slab to neutralise and to store warmth and regulate with the ground temperature, as it cured and settled in on the site, but now it means the indoor temperature is very stable,” she says. It wasn’t all plain sailing. The build itself was like an episode of Grand Designs at times, Julie recalls – but the final result was worth the effort, and the project provided her with a great introduction to life and work in Albany. “It offered me a chance to establish relationships with local builders and tradespeople, and as a new director at H+H, it was my chance to say: ‘This is how I like to do things’,” she says.